What it is: An all-in-one brow enhancer that helps you sculpt fuller brows. What it does: The cream-to-powder formula helps recreate the look of fuller brows by filling in sparse areas with rich pigment. The angled brush helps create hair-like definition for a natural look. This palette contains: A cream brow color and an enclosed angled brush. The slanted applicator makes it easier to apply and sculpt perfect arches. Less is more when using Sculpt A Brow. 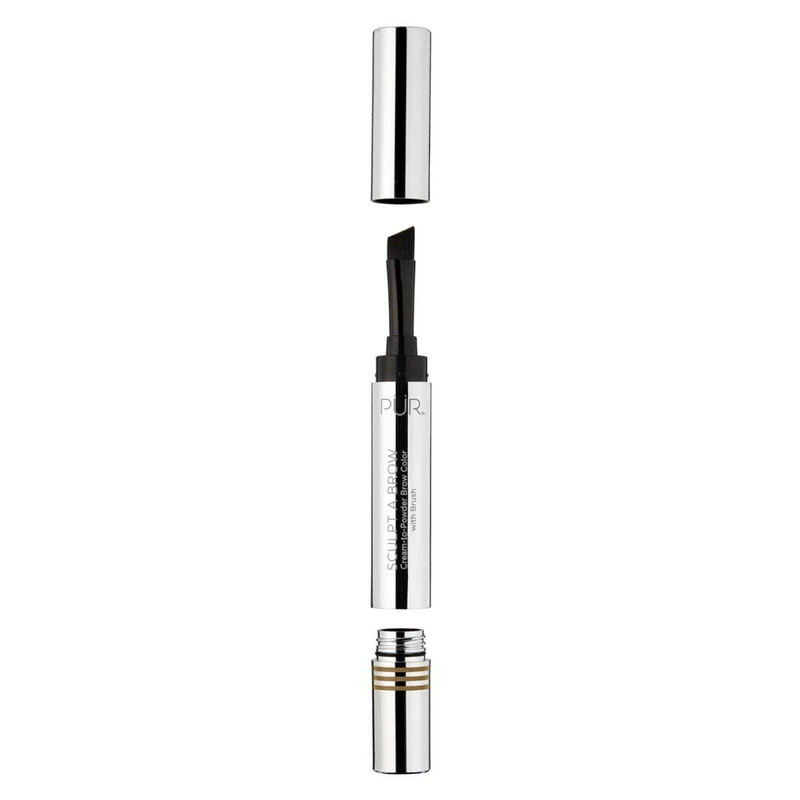 It's easily buildable for the perfect, naturally shaped brow.